In franchising, the investor usually signs one store at a time, but a franchisor may choose to sell several franchise units to only one investor. This wholesale transaction is called an Area Development Franchise. An Area Developer (AD) is a franchisee who signs up several units in a designated area. He is a wholesale franchise-buyer, and the AD is given exclusivity within a certain period. During this period, only the AD can open stores in the area, but upon its expiration, the area is open to other franchisees and/or company-owned outlets. This agreement may also be extended to provide a longer period of exclusivity. Another advantage is the upfront money. ADs usually pay half of the franchise fees for all stores in his area upon signing of the Area Agreement. This seeks to compensate the franchisor for giving exclusivity to the area, but half of the franchise fee per store is paid by the AD once the stores are opened. Each of these stores will still pay the royalties, advertising fees and other expected fees. Extra diligence is required in selecting an AD. It is more difficult to find this type of franchisee because he must not only have a higher net worth vis-a-vis a single franchise owner, but he should also be more sophisticated business-wise so that he can run this network of stores. If the wrong AD is picked, the AD's area will be poorly operated. 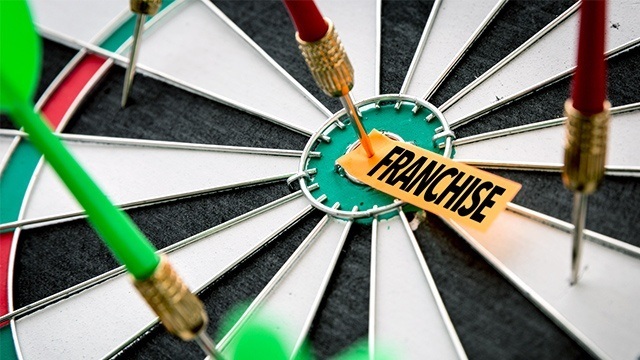 Can a franchisor use his existing franchise agreement for area development? Yes and no. Each unit which is opened in the designated area will still be covered by a unit franchise agreement, but the overall grant of the area is covered by an umbrella contract called the Area Development Agreement. In addition to the fees, number of units, and territory, this agreement will also include the Development Schedule, which states the timetable as to when the pre-agreed number of stores should be opened. Failure to meet this development schedule may result in several consequences to the AD, including loss of AD status, loss of upfront money and reduction in area. But if the AD acts in good faith, the franchisor may provide an extension with no penalties. Francorp is the world’s leader in franchising. Take a free franchisability test and learn whether your business is ready to grow through franchising. For more information on franchising, contact Francorp Philippines at (02) 638-3149, (+63917) 835.55.30, email info@francorp.com.ph, or visit francorp.com.ph. Manuel "Noel" Siggaoat is the Managing Director of Francorp Philippines. An MBA graduate of the Carnegie Mellon University of Pennsylvania and a Certified Franchise Executive (CFE), he heads the firm's consultancy practice. Noel has a diverse background in IT, finance, retailing, and franchising and has worked with companies here and abroad. He is a weekend athlete who has completed marathons, a half-Ironman, and other endurance events.